Welcome! The lobby of the Deranged L.A. Crimes theater is open. Grab a bucket of popcorn, some Milk Duds and a Coke and find a seat. 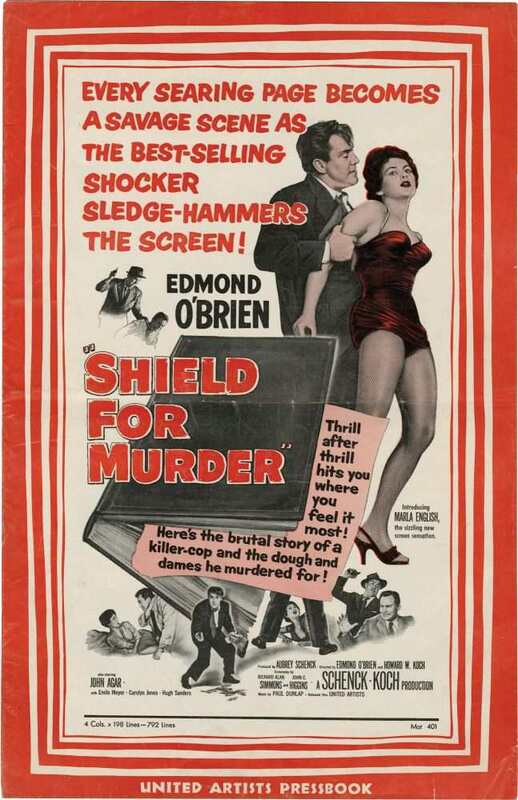 Tonight’s feature is SHIELD FOR MURDER starring (and co-directed by) Edmond O’Brien. Police detective Barney Nolan accosts a bookmaker, takes him into an alley and shoots him. Barney then robs the body of $25,000, removes the silencer from his gun, shouts a warning and fires two shots into the air to make it appear that he has shot a fleeing suspect. Barney is unaware the entire episode has been witnessed by a man in an adjacent building. Welcome! The lobby of the Deranged L.A. Crimes theater is open. Grab a bucket of popcorn, some Milk Duds and a Coke and find a seat. 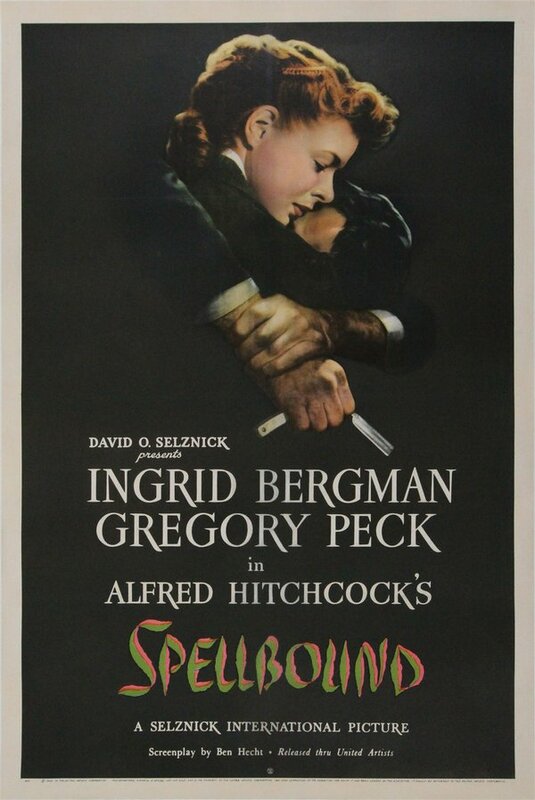 Today’s feature is SPELLBOUND starring Ingrid Bergman and Gregory Peck. When Dr. Anthony Edwardes, the distinguished psychologist who is to take over as head of Green Manors mental hospital, arrives at the countryside facility, his colleagues, including the outgoing head, Dr. Murchison, are surprised to see how young he is. That evening, Dr. Constance Peterson, the hospital’s only female psychologist, meets Dr. Edwardes at dinner and is immediately attracted to him. At the doctors’ table, Constance, who has been accused by her amorous colleague, Dr. Fleurot, of being cool and detached, talks animatedly about her idea for a woodside swimming pool and starts to draw her proposed design on the tablecloth with the sharp edge of her knife. Dr. Edwardes responds to the curved lines with a sudden burst of anger, baffling his peers.